This weekend I read, and highly recommend, the article in Vanity Fair from last July about John Galliano and the troubles he has been through. There is also an excellent video interview with Charlie Rose online that I highly recommend as well. In a nutshell; Galliano is a fashion designer, who when at the top of his fame was caught up with substances and was filmed while ranting anti-Semitic remarks. He said awful things. Things that caused him to lose his job and friends and that he is still working to repair years later. I work and teach in the fashion industry. I am not a fashion designer and though I respect those who design, I cannot say I relate to them and their creative path… I don’t know that I could design fashion. I CAN, however, teach people how to use digital tools to help THEM design fashion. I do notice nice fashion design and certainly respect designers. 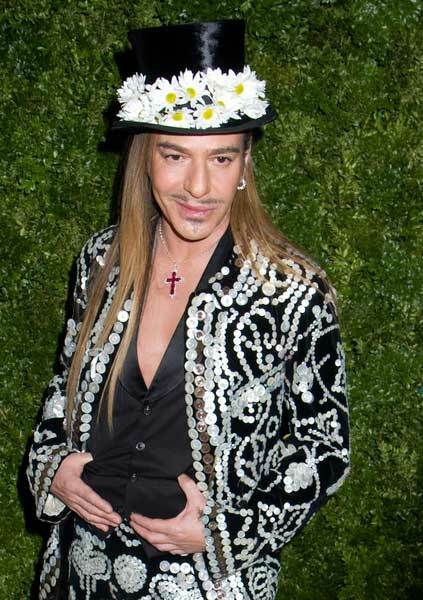 Mr. Galliano was always very flamboyant and is seen by those in the industry as a true visionary. He has designed garments that defy limitations and he has rewritten rules that stood for decades. Now, I was completely appalled by his anti-Semitic remarks and there is certainly no place in this world for a person who believes the things he said. He seems to be struggling with people who wonder if he really BELIEVES the things he said, or if he was just out of control. Were his addictions to blame for his actions? Maybe, but he has owned up that it was all his fault and only he to to blame. In the years since he has worked hard to address not only his addictions, but to repair the harm he did with words. He has done these things repeatedly. Even the leader of the Anti Defamation League is satisfied with the work he has done. Again, I know what he did was wrong and that he hurt people. I also believe that when that happens you apologize and work to make things better. I believe he is sorry. I believe he has remorse and regrets what he did. Let’s move on. Don’t forget what he said, but realize that people, all people, make mistakes. Forgiveness is something that binds us as a human species. That we are able to think for ourselves and venture out into the world sets apart from other species. Mistakes will happen. My worry is that the world may lose a visionary that we can all learn from if we do not show come compassion and empathy for all of those involved. I’m sure his life has changed because of that moment. We need to trust in him and ourselves so that we can move forward and find kindness, rather than focus on the pain and sadness. Personally I miss the Galliano in the photo above. He is one of a kind and outrageous. I hope the world forgives him and we see him again soon.